Todd Smith is General Manager of Coperion K-Tron Salina and vice president of the company's Global Systems Group. Coperion K-Tron is a leading global supplier of conveying, feeding, and control systems for its customers' bulk solid materials. He has a Mechanical Engineering degree from Kansas State University and earned his M.B.A in 1998. 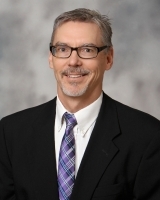 Todd is a board member of the KSU Dean's Advisory Council, Salina Area Technical College, Salina Chamber of Commerce, and the local soccer club. He championed the creation of the KSU – Bulk Solids Innovation Center which opened in 2015. Todd has worked for Coperion K-Tron since 1993.